Mark Cuban is scheduled to be the keynote speaker at the Fantasy Sports Trade Association (FSTA) winter conference held in Dallas, Texas. Mark down the dates Jan. 19-20, 2016 and the events location at the Omni Dallas Hotel if you plan on attending The FSTA Winter Conference sponsored by Paysafe is the world’s gathering place for all businesses, entrepreneurs and fans that already or want to provide services, content and operate games for the fantasy sports industry. The sports tech space is changing the world with vertical markets that are sky rocketing upward such as daily fantasy sports, wearable tech and virtual reality among others. This event next year promises to be noteworthy with Cuban’s presence for the Sports Techie community blog readers and followers, nearing 7,000 on Twitter. Mark Cuban Is Keynote Fantasy Sports Trade Association 2016 Dallas Speaker – Sports Techie blog. 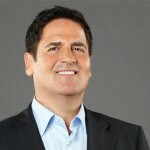 If you are a fan of sport, technologies and investment then Mark Cuban is a pioneer you already know about. He is outspoken about just about any topic ranging from politics to the NBA but is most respected as a serial entrepreneur, investor and the Dallas Mavericks owner. Cuban owns Landmark Theatres, Magnolia Pictures and is the Chairman of the HDTV cable network HDNet. Most people remember his face as a “shark” investor on the television series Shark Tank. In 2011, he wrote an e-book, How to Win at the Sport of Business, in which he chronicles his life experiences in business and sports. Cuban has also crossed over into entertainment with roles in movies, TV and as a spokesperson for brands. Cuban’s keynote address, presented by Sportradar, is scheduled for 10:30 a.m. CT, Wednesday, Jan. 20 in the Omni Dallas Hotel main ballroom. Paysafe is the title sponsor of the growing event. “We couldn’t be more excited to welcome Mark Cuban to the 2016 FSTA Winter Conference keynote stage. His innovations as owner of the Dallas Mavericks along with his entrepreneurial record make him the perfect keynote to kick off this very important event,” said Stacie Stern, FSTA Conference Chair. Additional panelists and speakers for FSTA 2016 Winter Conference sponsored by Paysafe will be announced in the coming weeks. Day one includes, FSTA Experts’ League Fantasy Baseball Draft, broadcasted LIVE on SiriusXM Radio. The FSTA Elevator Pitch contest is for up-and-coming fantasy businesses that would like the chance to pitch their innovative ideas to a crowd of industry leaders at the FSTA conference. SidePrize was the most recent FSTA 2015 Elevator Pitch award and FSTA Shark Tank winner. Find out more at Elevator Pitch Information. Founded in 1998, the Fantasy Sports Trade Association (FSTA) is the international organization dedicated to the advancement of fantasy sports and in support of the hundreds of businesses and millions of fans that are engaged in fantasy sports. It has been at the forefront of legal issues that have existed between fantasy sports companies and professional leagues and players associations as well as dealing with numerous government related issues since its inception. The rotating 18-member Board of Directors is comprised of industry veterans, pioneers, and experts. With more than 300 member companies involved in the FSTA, current members include some of the world’s largest sports content/information and service companies as well as smaller companies that benefit from the extensive reach of the FSTA. Earlier this month, the FSTA formed a new Fantasy Sports Control Agency (FSCA) and appointed the former Acting U.S. Secretary of Labor Seth D. Harris as the new chairman of the independent agency. Beginning in 2000, the FSTA has honored past members and contributors to fantasy sports with induction into its Hall of Fame. Noticeably absent are any women. 2000: Cliff Charpentier, Fantasy Sports Inc.
2001: Greg Ambrosius, STATS, Inc.
2001: John Dewan, STATS, Inc.
2013: Glenn Colton, Dentons, U.S.
Mark Cuban is scheduled to be the keynote speaker at the Fantasy Sports Trade Association (FSTA) 2016 winter conference held in Dallas, Texas. Sports Techie, the fantasy sports industry is now worldwide. There is a growing public awareness of the space here in the U.S. because of the billions of dollars in payouts and overabundance of TV commercials and other advertising that something is indeed rotten in Denmark as the phrase goes. In other words, the billion dollar industry has matured enough to the point that regulation is almost certainly on the way for daily fantasy sports operators such as FanDuel, DraftKings and most recently Yahoo Sports, across most states as is now the case in New York and perhaps soon to be in Massachusetts. Today, the MA state attorney general, Maura Healy, proposed regulation making it illegal for under 21 players while banning advertisement at schools, according to Sports Illustrated. The FSTA relocated to Dallas from Las Vegas after the state Gaming Control Board overturned Nevada’s existing fantasy sports industry law via a public notice stating daily fantasy sports constitutes the definition of gambling under Nevada statues so the requirement of a sports pool operating license is needed for the business to be legal. FanDuel and DraftKings have since ceased operations in the state. Is there a better person to argue the merits of daily fantasy sports than Mark Cuban? Probably not but he was initially against NBA fans using digital devices at Mavs home games because he felt it meant they were not paying attending to the live basketball action. Cuban has since mellowed on that strong stance. I suspect Cuban will have a keynote address for the ages that attacks the intervention of government in another business they really know little about especially when the FSTA already exists to help regulate the industry. Over time though that may also change for Cuban and others when daily fantasy sports go back to normal expect with more regulations. FSTA NYC 2015 Summer Conference Recap #1 from Megan Van Petten on Vimeo. 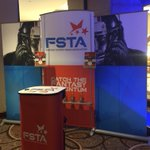 “Catch The Fantasy Momentum” was the tagline for the FSTA NYC 2015 Summer Conference at the Crown Plaza Times Square in New York City where about 450 companies were represented. Not sure how appropriate that slogan is now when considering the current state of DFS however adding Cuban to the event in definitely a coup. The FSTA offer $100 OFF discounts early bird registrations for both members and non-members. The current discount offer is $300 OFF for FSTA members up until Day One of the conference. On-Site registration is $1099 for both members and non-members. The Sports Techie CBS Sports fantasy football team is in second place with three weeks left in the regular season, we have clinched playoff spot. Cuban follows our main Twitter handle and I hope you will as well to stay updated with the latest sports technology and #SportsTechie related news.